Alpha Blue, also known as Dream Diesel (or DD), is a high-flying sativa that combines Blue Dream and NYC Diesel. Its buds are glazed with sugary trichomes and take on hues of deep red and violet. The aroma is a combination of tart blueberry and sour candy that create a pungent mixture of earthy berry and Haze upon exhale. 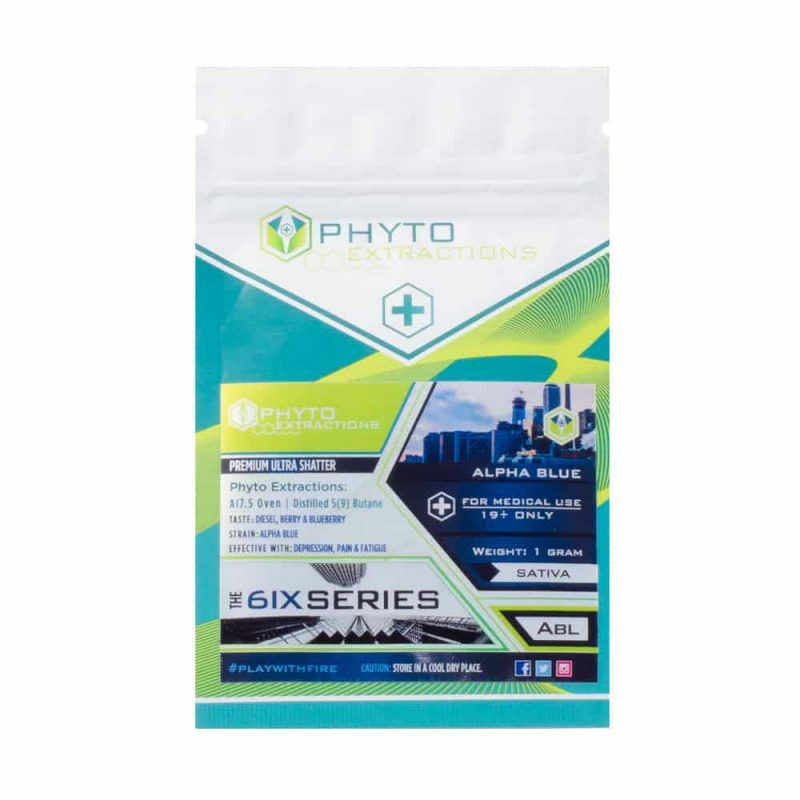 The sweet fragrance of Alpha Blue brings with it uplifting effects that produce a calming, relaxed mood without putting you to sleep. The cerebral and happy buzz is a great tool when coping with stress and anxiety.